Alphabetical index of Arab researchers who surveyed directory. 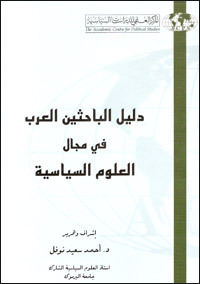 Index of Arab researchers who surveyed directory in alphabetical order of the States and Arab universities. Index of topics and areas of interest to researchers Arabs polled directory.